Welcome back into my kitchen, where we discuss Restoring Your Temple. God’s Temple in you. Last Saturday when we covered how to Boost Your Healthy Tea Time, I promised to continue by reviewing healthy breakfast ideas. These are some of my regulars (and I’ll share others in the future individually). These today are my faves because you can largely prepare them in advance for grab and go breakfasts later. Don’t we all like to make mornings easier? A little planning ahead pays off big time! To begin, let’s look at making your own dairy-free yogurt. I know! I didn’t believe it, either! 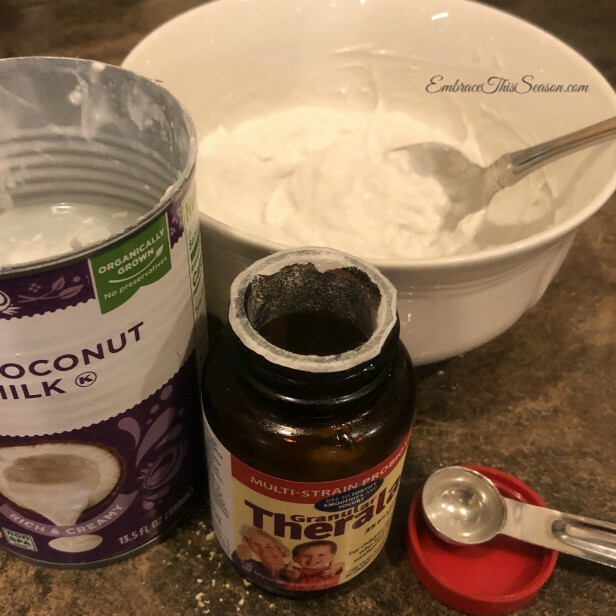 Now that coconut yogurt is part of my weekly regimen, that bowl of sweet, healthy goodness sits on my counter often, ready for action with more healthy additions at any time. Organic full fat coconut milk is found at Kroger and possibly other grocers. Please don’t be afraid of the fat word. We’ve heard, wrongly, for years to avoid fat at all costs. But, what we should have avoided were the unhealthy fats (that most pre-packaged foods contain). At some point, I hope to share all the healthy fats I make sure to include in my meals every day. Yes, you read that right. We should intentionally add plenty of healthy fats into our meals! Our bodies are fueled by fats and carbs. The most beneficial for our bodies to burn cleanly and without causing free radicals, inflammation, etc., are healthy fats and gentle carbs. (Don’t get me started on all the damaging carbs in boxed foods!) We have much better options for true health. Refrigerate your cans of coconut milk upside-down overnight – or longer is fine. I learned how to make Coconut Yogurt at Joyous Health. Joy is also on YouTube, so you may want to check out her healthy recipes, tips, and tricks. 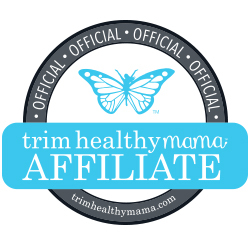 She was my first on-line resource for eating healthfully. You can always break open the probiotic capsules (as Joy demonstrates), but I use a granular option since it’s available in a bottle with more servings for the same price. We’ll get to that next, but first, let’s look at the capsules. Theralac capsules (at Amazon*) come in bottles of 30 capsules (1 per serving). After resting your (covered) coconut-yogurt mixture on the counter overnight, you can refrigerate it if you wish. But, that halts the probiotic growth factor, so I let mine sit on the kitchen counter until it’s gone – sometimes for three or four days. The probiotics continue to grow and GROW and GROW. Refrigeration is not required – unless you let it sit for weeks at a time to possibly get moldy. YUCK! I really don’t know about mold developing (and I would know since I’m highly sensitive to molds), but I imagine it could happen. Coconut yogurt doesn’t last long enough at my house to get moldy. 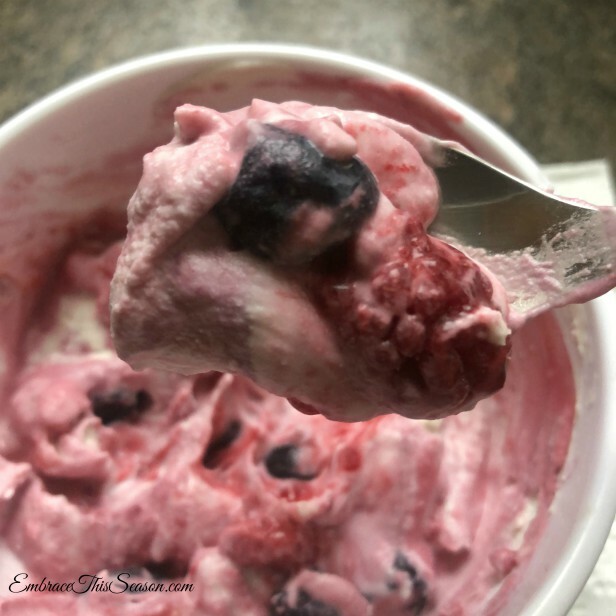 Just before using your coconut yogurt, swirl in a half teaspoon of vanilla flavoring to a 1/3 to 1/2 cup serving – and add a couple drops of liquid Stevia if you like it sweeter. Since the prepared coconut yogurt is needed for some of our breakfast options today, we needed to cover that first. Let’s move on, shall we? Oh, I almost forgot about the protein factor. 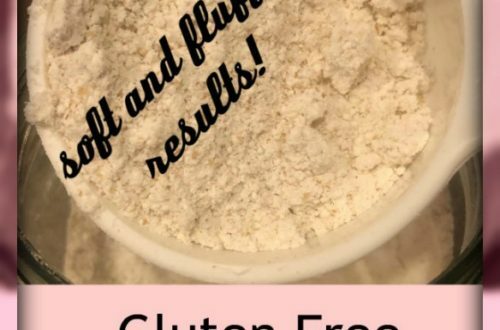 Protein is an essential building block for our health, and we need it in some way at each meal (support article here), and for this, I looooove to sprinkle hemp harts over the top. 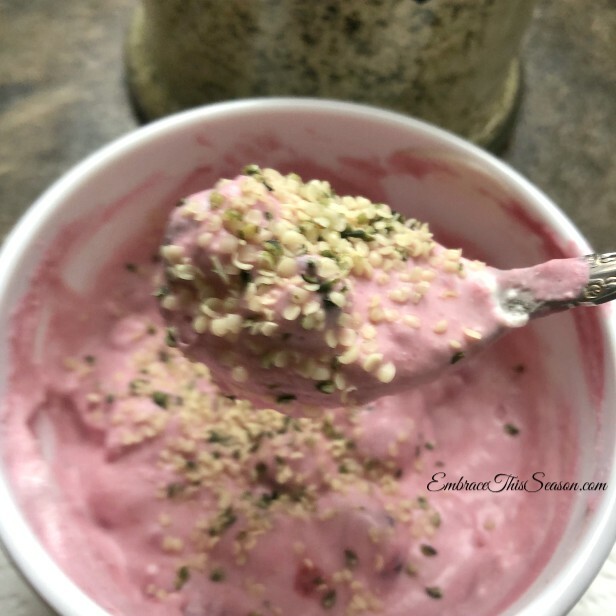 I went light on the hemp harts in the picture above (so you can see the yogurt beneath), but I load my yogurt down with three tablespoons of hemp hearts for a full 13 grams of protein. These tiny granules are soft-textured, slightly chewy, and nutty…so delicious! Walmart has learned a thing or two about the popularity of healthy staple ingredients. They don’t carry “organic” hemp hearts, but neither does Kroger. Bob’s Red Mill Hemp Hearts packaging at my local Kroger doesn’t read “organic”, either. At Amazon*, of course we have many options. These Healthworks™ organic hemp seeds are shelled, which are the same as hearts. The price point is a little higher than non-organic, of course, but this next option is a comparable price to the non-GMO brand at Walmart. These particular Healthworks™ hemp seeds are a nice second choice, pesticide-free (an option close to organic). My favorite trick lately is the overnight oatmeal from Dani Spies at Clean and Delicious. Dani shows her recipe with four different toppings for overnight oats here. (They all are so delicious!) I have a slightly different way of making my overnight oats. Load 1/3 cup of organic oats into a half pint canning jar (make as many as you wish for the week). Add a doonk of Stevia (find doonk spoons here* and absolutely pure Stevia here*), 1/4 teaspoon of powdered probiotic (or contents of capsule), a sprinkle of cinnamon, and 2 teaspoons of chia seeds. Stir to combine well and add coconut milk or almond milk, filling to a half inch below the rim. Stir well, put lid on, and refrigerate overnight or a few days. In the morning, remove from refrigerator, and eat. I love it this way! But, if you insist on cooking it, heat in microwave for about 30 seconds on high (or in sauce pan on stove top). When I have lots of coconut water left over from making coconut yogurt, I use the coconut water as the liquid in the oatmeal. It is a delicious way to use the coconut water. Play around with different flavorings, and enjoy it. Cold or hot! I read a report recently that many rolled oats products were tested for pesticides. I wasn’t surprised that regular oatmeal brands contained pesticides, but I was totally surprised to see that Bob’s Red Mill oats were on the list! What? I trusted Bob’s! Upon further inspection, I noticed that my grocer doesn’t include Bob’s Red Mill Organic Oats, only the regular as labeled non-GMO. Organic is non-GMO, but the reverse does not apply. After searching organic oatmeal products on Amazon* and avoiding Bob’s, I found many (but often in boatload quantities). Who needs 50 pounds of rolled oats? Nature’s Path option for six boxes of just over a pound each is more reasonable at $1.85 per pound (at the time of this writing). If you don’t have room for six containers in your pantry, share with a friend…or eat lots of oats quickly (wink). Notice I now avoid Bob’s Red Mill. I’m not saying there is anything wrong with Bob’s. It’s just a thing in my brain after reading the report, which didn’t specify Bob’s organic or non-organic oats. Just a thing, y’all. 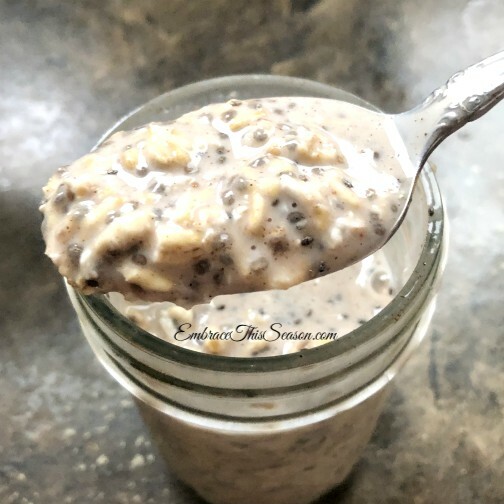 I believe Dani Spies at Clean and Delicious uses quick oats in her overnight oats, so make it to suit yourself – however you like it. You may prefer quick oats, too. 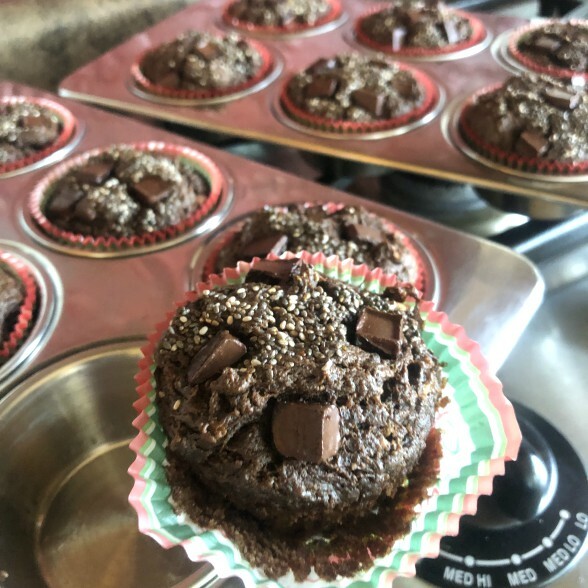 Dani’s Gluten-Free Chocolate Zucchini Muffins are a delicious healthy breakfast (or an afternoon snack when you’re craving chocolate (wink). In the morning, I pop one (or two) of these muffins into a bowl of yogurt and call it breakfast (grin). They are complete with plenty of protein and chocolaty deliciousness! For this healthy breakfast option, coconut yogurt is a topping sprinkled with pumpkin pie spice. These mini pumpkin pies (recipe by Dani at Clean and Delicious) are a dessert option also. 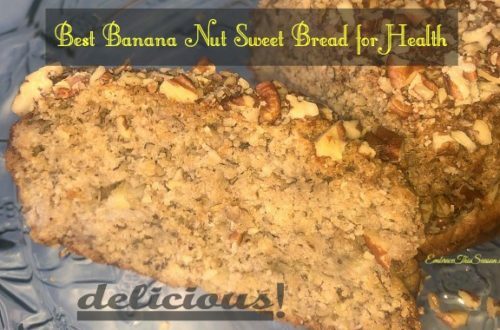 They are so healthy, you can have dessert for breakfast! Who doesn’t love that? 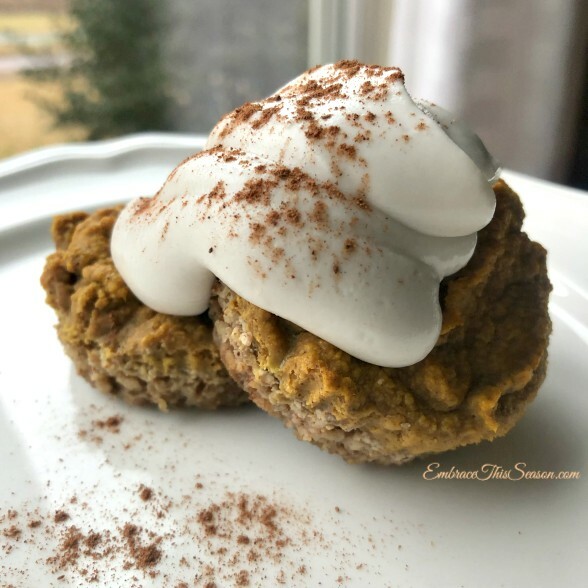 I adapted the mini pumpkin pie and chocolate zucchini muffin recipes with a Stevia-based sweetener and/or with another protein boost. We’ll talk about that later, y’all. This post is far too long already! 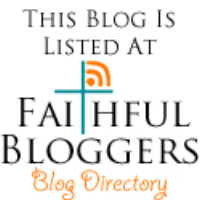 Pin this image to one of your Pinterest boards for easy access later. Were these healthy breakfast ideas enough to get you started with healthy options for breakfast? I have many egg recipes tucked away for later. 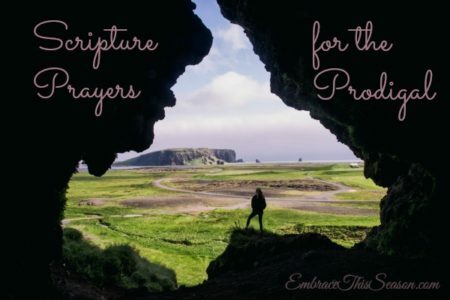 There are endless ways to Restore Your Temple to full health! How do you like your eggs? Over easy or hard? 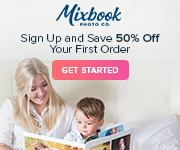 *Affiliate links. See disclosure here. Thank you once again Kim for all this wonderful information! I am loving your healthy temple posts. Can’t thank you enough. I will definitely try some of them.